If you have questions or concerns regarding this statement, you should first contact John at john@johndrury.biz. In order to use the John Drury website, we may require information from you in order to provide the best service possible. Any information collected by John Drury is collected via correspondence from you or your company. This may be via the telephone, Email, mail, fax or directly through our website. Any details collected from John Drury customers and clients is required in order to provide you with our products and/or services, and a high level of customer service. John Drury may at its discretion use other third parties to provide essential services on our site or for our business processes. We may share your details as necessary for the third party to provide that service. John Drury does not share any information with third parties for any unknown or unrelated uses. John Drury uses PayPal for its online credit card transactions. PayPal processes online credit card transactions for thousands of Australian merchants, providing a safe and secure means of collecting payments via the Internet. All online credit card transactions performed on this site using PayPal are secured payments. – Your complete credit card number cannot be viewed by John Drury or any outside party. – All transaction data is encrypted for storage within PayPal’s bank-grade data centre, further protecting your credit card data. – PayPal at no time touches your funds; all monies are directly transferred from your credit card to the merchant account held by John Drury. 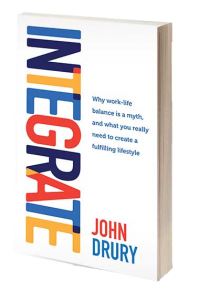 John Drury offers coaching and mentoring services to business owners, corporate executives and senior leaders from Not-for-Profits. John Drury also offers physical products. If you choose to engage in John Drury’s services, you agree to a set billing cycle, the details of which will be outlined in your individual contract. When you purchase a physical product from johndrury.biz we will endeavour to ship your parcel within two working days. We will advise you via email of any difficulties that might prolong the time it takes for us to send your product. 1:1 and group coaching/mentoring services are provided on a monthly or fortnightly basis, depending on your individual agreement with John Drury. John Drury will not be responsible for packages lost in transit or otherwise delayed. If your parcel arrives damaged, please contact us at john@johndrury.biz to discuss a potential replacement or refund. All products must be returned in their original condition. All postage and insurance costs are to be paid by the buyer. Group and 1:1 coaching and mentoring programs with John Drury are non-refundable unless otherwise indicated in the terms of your specific program. Please contact us at john@johndrury.biz with any further enquiries.